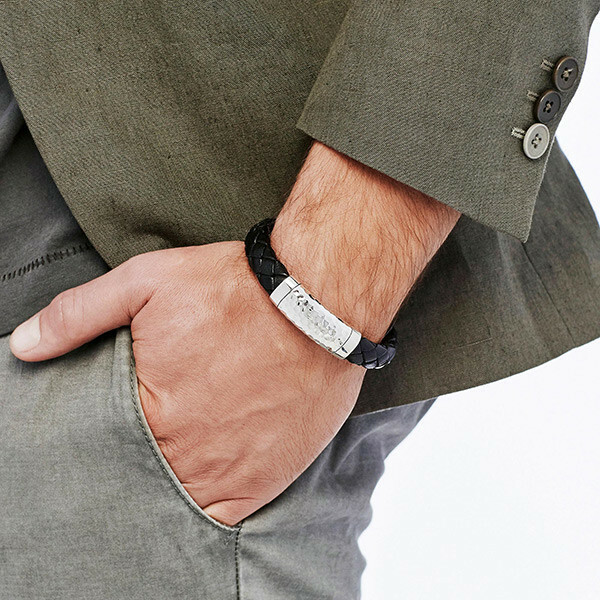 For the rugged man who cleans up nice, this John Hardy bracelet from the Classic Chain collection will mirror his vitality. 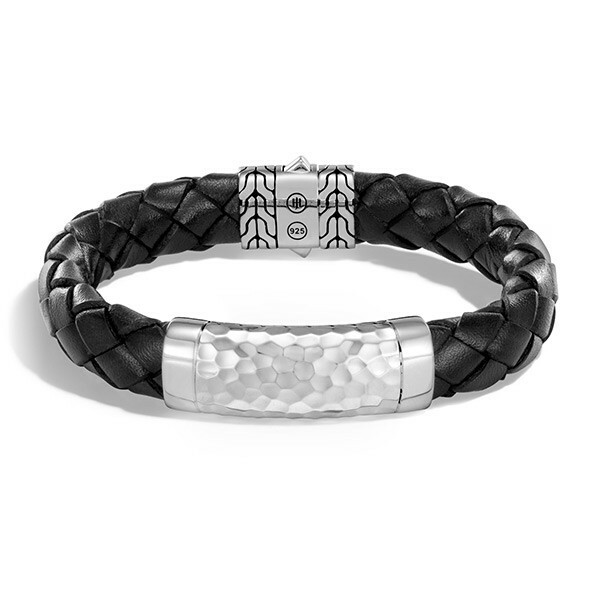 Cords of black leather are braided to form the piece, and a sterling silver station is gently hand hammered for a rippled effect. The decorative clasp is etched with the classic chain motif giving this bracelet even more character. This John Hardy bracelet is the one he will turn to.